In 1888 Clunes-Ross formed a phosphate mining settlement at Flying Fish Cove, Christmas Island. A year later 8 European Managers, 5 Sikh Policeman, 200 Chinese and a few Malayan labours arrived on the Island. 1942 Christmas Island was British possession and under the control of the Singapore Straits. After the Japanese attack on the Norwegian phosphate ship, “ The Eidsvold” in Flying fish Cove, it was decided in early March 1942 to evacuate 49 people of European, Sikh and Asian descent to Perth, Western Australia on the TSS Islander, built at Grangemouth, Scotland in 1929. It was the Island’s transport and supply ship. The ship arrived at Fremantle on the 26th of February 1942. Among the evacuees were 28 Sikhs who had travelled on the Deck of the TSS Islander, they comprised of eight married Sikh Policemen, who were members of the Straits Settlement Police Force, with their wives and children. Only two of the Sikhs could speak English. The women wore pyjama-like trousers and loose three-quarter-length blouses (Punjabi Suits); each of different colour and a loose turban hanging down at the back, and the men had traditional turbans that were tightly wound. The small boys had long hair tied into buns on top of their heads and a traditional smaller turban called a patka, covering their buns. 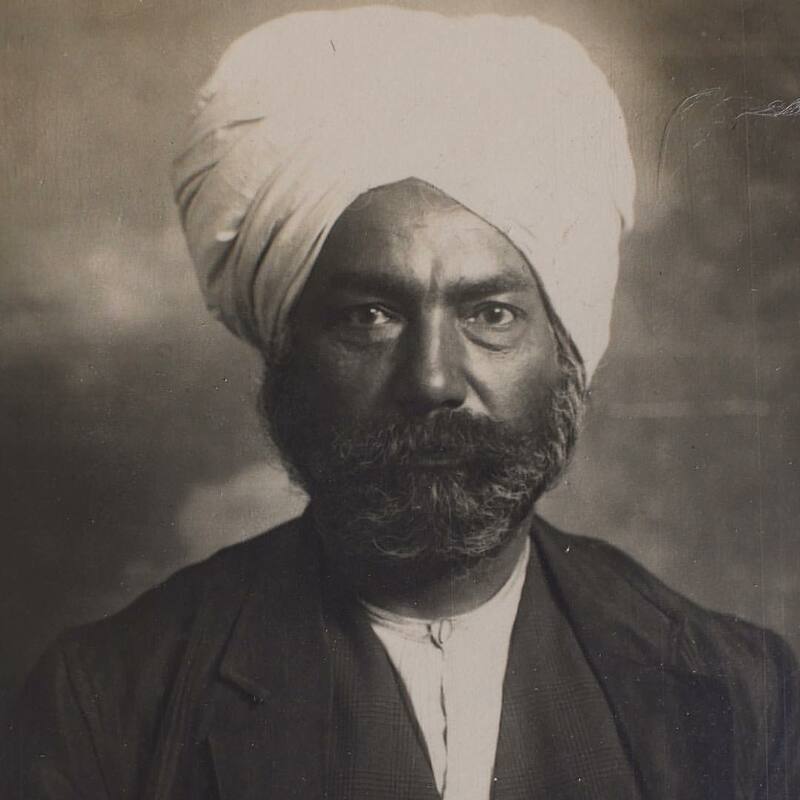 The Sikh group was given accommodation in an old Schoolhouse and the plans were for them to be repatriated to the Punjab before the winter, but that did not happen. 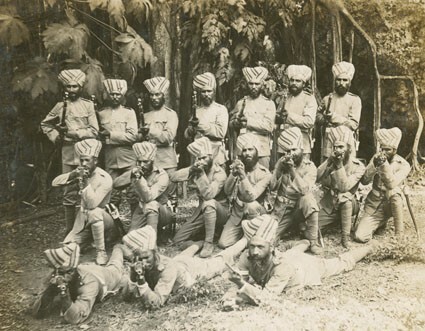 The men intended to join the Sikh Army once they were back in the Punjab. The clothes they brought with them to Australia were not suitable for winter so the Reverend J. W. Clift, Chaplain of the Mission to the Seamen provided them with warmer clothes that had been donated to the mission. 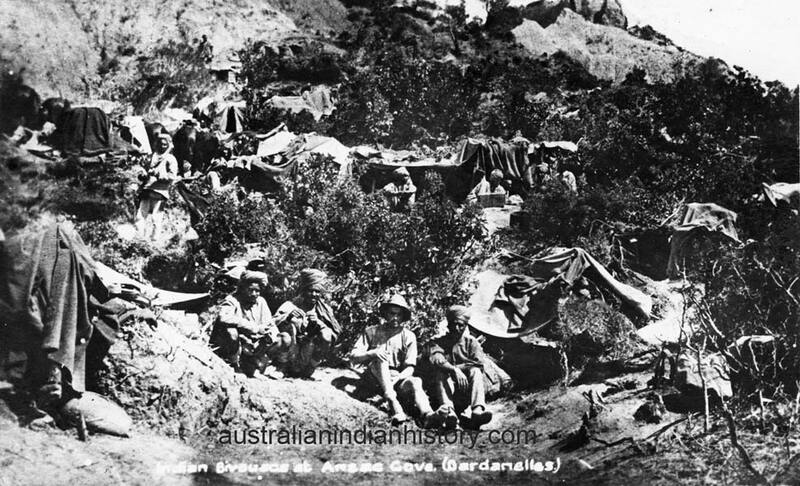 A few days after the group arrived in Australia Christmas Island was bombed and shelled by the Japanese. 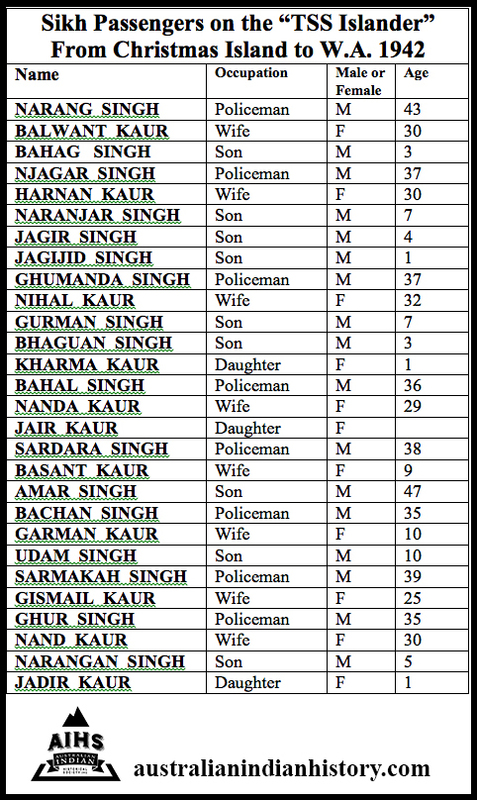 Mutiny by the Indian Troops and Sikh Police. Several of the Indian Troops of the Straits Settlements Volunteer Force and the Straits Settlement Police Force mutinied at Christmas Island later in March 1942. A British officer and four British N.C.O.s were murdered. 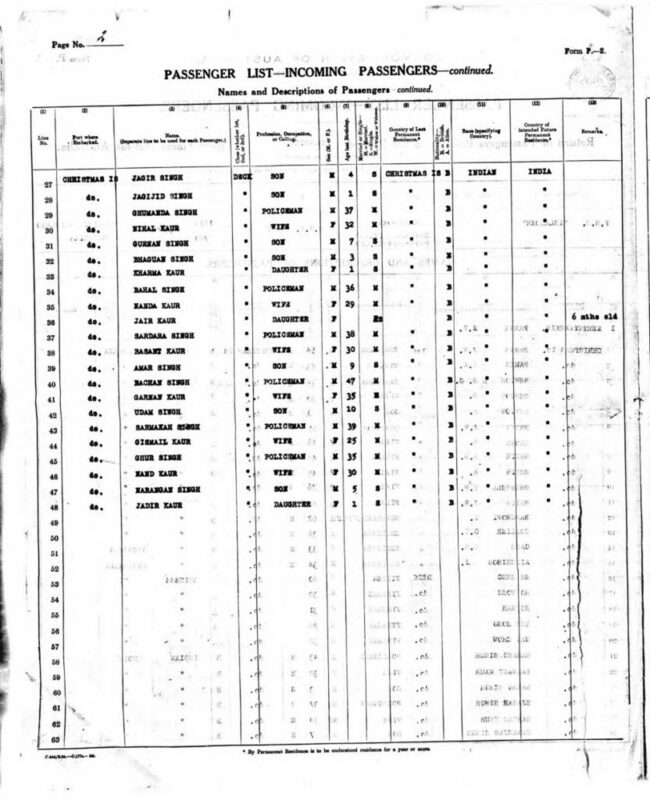 In 1945, Lieutenant John Scott Clark, a Scottish doctor on the hospital ship, Wanganella with 164 A.I.F., Personnel, and more than 100 Civilian Internees, said that “Indian troops of the Straits Settlements Volunteer Force mutinied on Christmas Island and handed over all Europeans to the Japanese in 1942.” Lt. Scott Clark was the medical officer to the Christmas Island force at the time. “The mutineers murdered the captain and sergeants in the night and threw the bodies into the water” he said, “when they woke me they told me the captain wanted me at the fort, and I got there to find myself facing two machine guns. During the three weeks before the Japanese arrived the Indians repeatedly threatened to kill the 21 Europeans on the Island. We mounted guard at the entrance to our quarters. Actually when the Japanese arrived and shelled the island the Indian Punjabis asked the District Officer to surrender. They were frightened of the Japanese. While the Indians did not seem to be pro Japanese they disliked Europeans. The most disappointed man in the Wanganella was Sergeant D. Woolley, from Tasmania, who escaped from Timor in a native canoe only to be recaptured by a Japanese submarine.”  Before the invasion and occupation of the Japanese on Christmas Island the Management on the Island decided to destroy and burn the crops and other resources that might have been of use to the Japanese. This left the Japanese short of food and some of the Japanese committed acts of cannibalism, even eating their own dead. 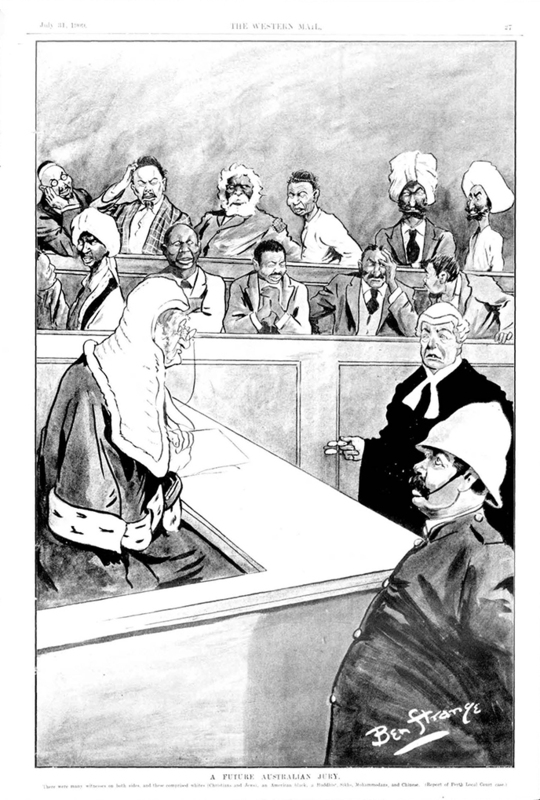 After the war Seven Punjabis involved in the Muntiny were Court Martialed in Singapore. Falkird Archives, Records of Businesses, Shipmaking, Shipping Industry, Marine Engines Finding Aid. Falkirk Archives (Archon Code: GB558). Sikh Colony Arrives. The Daily News Perth WA Tue. 31 Mar. 1942, p. 4. Sikhs From Island Live In Schoolhouse. The Daily Telegraph Syd. NSW. Wed. 1 Apr. 1942, p. 5. Indian Leaders Sought Christmas Is The West Australian Perth WA Fri. 30 Nov. 1945, p. 6. “Indian Troops Mutinied On Christmas Island.” Queensland Times Ipswich Qld. Mon. 15 Oct. 1945, p. 1. Maryborough Chronicle Qld. Mon. 10 Jan. 1949, p. 5. The West Australian Perth WA Mon. 6 Jan. 1947, p. 10. Sikh Passengers on the TSS Islander 1942. 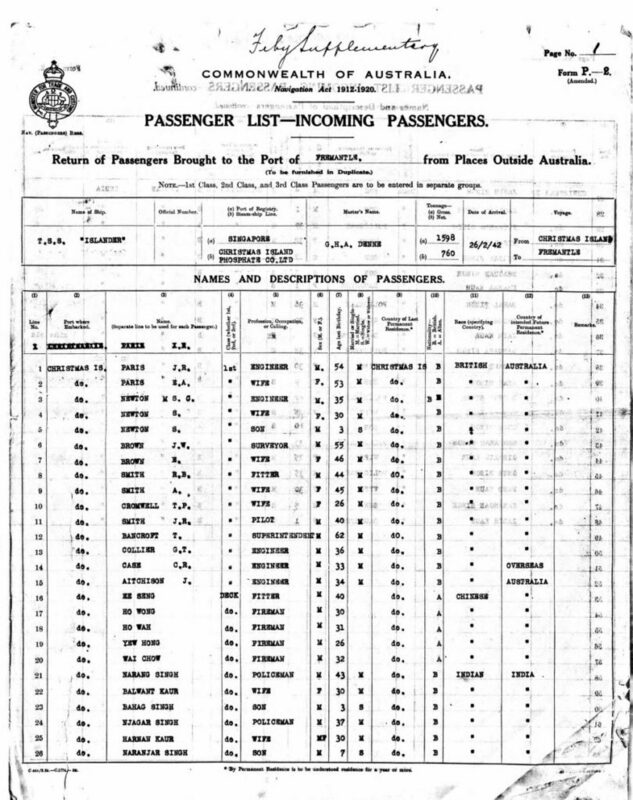 Inward Passenger Manifests for Ships and Aircraft Fremantle, Perth and WA 1897-1963. 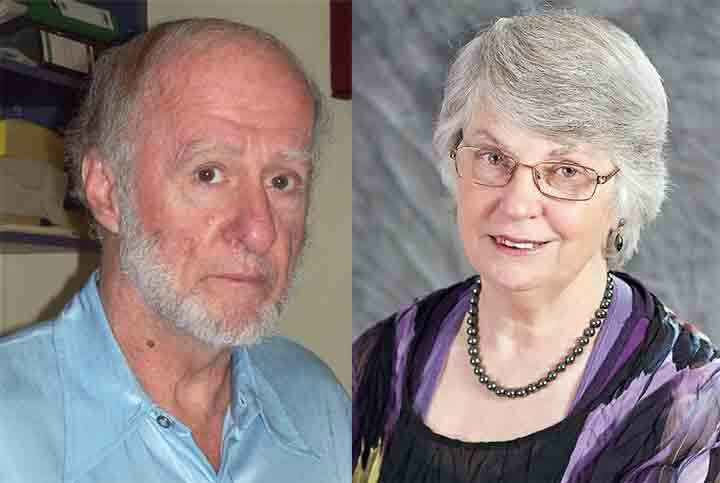 Research australianindianhistorycom.